I love custom requests, especially when it's for one of my current designs. 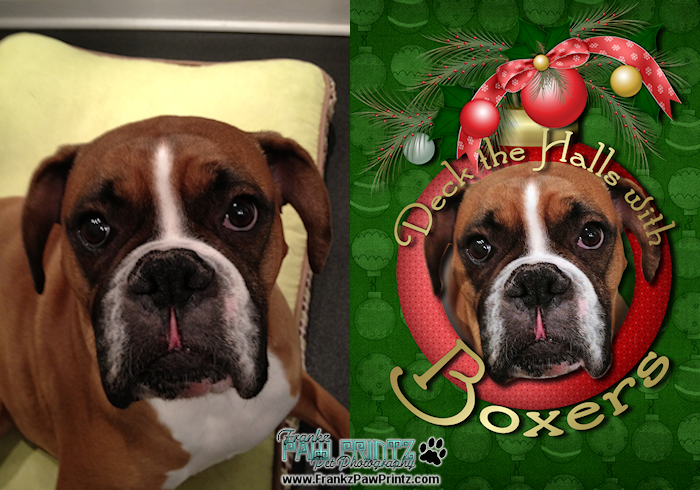 In this case Michelle wanted her very own soon to be 5 years old Boxer named Marnie placed into my Christmas "Deck the Halls with Boxers" Greeting Card. Here is a before and after picture. The picture Michelle sent me and the completed Card. Hope you LOVE it Michelle!